Dr. Joseph A. Allen is an Associate Professor in Industrial and Organizational (I/O) Psychology at the University of Nebraska at Omaha. Before he completed his doctorate (Ph. D.) in Organizational Science at the University of North Carolina at Charlotte (UNCC) in 2010, he received his Master of Arts degree in I/O Psychology at the UNCC in 2008 and his Bachelor of Science degree in Psychology from the Brigham Young University in 2005. Dr. Allen's main areas of research include the study of workplace meetings, emotion management, and volunteer management. He more than 70 publications in academic outlets, another 20 under review, and many works in progress for a number of journals. He has presented over 100 papers/posters at regional and national conferences and given more than 40 invited presentations on his research. He serves as a reviewer for various journals including Motivation and Emotion, Organizational Behavior and Human Decision Processes, Journal of Applied Psychology, and Academy of Management Journal. He is an Editorial Board Member for the Journal of Business and Psychology and is currently the managing editor for a Handbook on Meeting Science for Cambridge University Press. 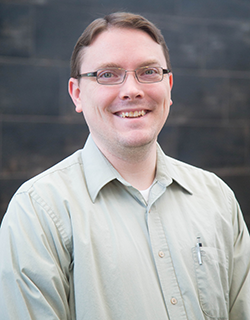 Dr. Allen's research has been featured in the Journal of Applied Psychology, Human Resource Management Journal, Non-Profit Management and Leadership Journal, Group Processes and Intergroup Relations, Group and Organization Management Journal, Journal of Occupational and Organizational Psychology, and so on. He has consulted for more than 200 non-profit/for-profit organizations, many of which reside in the Omaha area. As Director of the Volunteer Program Assessment at UNO, Director of the Center for Applied Psychological Services, and a Fellow in the Center for Collaboration Science, Dr. Allen enjoys bringing together students, faculty, and community leaders in reaching out, serving, and collaborating. Being a teacher in an academic setting is truly a privilege and an honor. I truly believe that a teacher is an adviser, an advocate and a mentor. A teacher not only imparts knowledge, promotes learning, and shapes the expectations and ambitions of their pupils, but he/she also influences their attitudes toward their future and themselves. I recall teachers from grade school, high school, undergraduate, and graduate school that continue to influence the decisions I make both in the classroom and in my home life. What makes these teachers so influential is their devotion to their students, their demanding curriculum that encourages excellence, their focus on continuous improvement in the classroom, and their acceptance of intellectual diversity through an emphasis on integrity and ethical behavior. In my efforts to be like these exemplary individuals, I strive to remember that class time is the student's time as well as mine, that the practical importance of the class inspires students, and that integrity, honesty, and ethics are a part of every class. PSYC 4640/8466 Personnel Psychology: This course provides an overview of I/O Psychology with a focus on the major topics within personnel (industrial) psychology. Topics include methodology, employee selection, performance appraisal, organizational attitudes and behavior, motivation, and leadership. Psych 9090 Theory of Measurement and Design: Study of theoretical and practical problems related to the development and use of psychological measures and research designs covering such topics as scaling, test development, reliability, validity, interpretation of results and generalizability. PSYC 9660 Job Analysis and Performance Appraisal: An in-depth examination of the fundamentals of personnel psychology including job analysis, criterion development and performance measurement and appraisal in organizations. Practical experience in the application of techniques and procedures is emphasized through group and individual projects in organizational settings. PSYC 3450 Social Psychology: Social interaction is studied in situations of (1) social influences on individuals, (2) dyads or face-to-face groups, and (3) larger social systems. The concepts, theories, data, research methods and applications of varied substantive topics are examined. The Center for Meeting Effectiveness (CME) lab is a research lab devoted to the study of workplace meetings and how they impact employees for better or worse. Specifically, we strive to understand how to improve meetings in organizations so as to maximize outcomes for meeting leaders and participants/attendees. Meetings are a "taken-for-granted" aspect of most jobs and research suggests they can be a source of satisfaction and/or misery. In meetings, employees solve problems, discuss strategic plans, develop programs, coordinate work activities, distribute resources, recognize hard work of others, and so on. Given these many functions, there are a host of interesting research and practical questions that can be answered by the scientific study of meetings. To this end, the CME Lab studies various aspects of meetings in organizations (e.g., meeting lateness, design characteristics, leader traits) and how they impact employee attitudes (e.g., employee engagement), behavior (e.g., performance and organizational citizenship behaviors), and well-being (e.g., burnout). Mroz, J. E. & Allen, J. A. (2015). It's All in How You Use It: Managers' Use of Meetings to Reduce Employee Intentions to Quit. Consulting Psychology Journal: Practice and Research, 67, 348-361. *Yoerger, M. A., *Crowe, J., & Allen, J. A. (2015). Participate Or Else! : The Effect of Participation in Decision-Making in Meetings on Employee Engagement. Consulting Psychology Journal, (67), 65-80. Reiter-Palmon, R., *Kennel, V., Allen, J. A., Jones, K., & Skinner, A. (2015). Naturalistic decision making in after-action review meetings: The implementation of and learning from post-fall huddles. Journal of Occupational and Organizational Psychology. (88), 322-340. If you would like to become a member of CME, please follow the application directions below. 2. Send it and your résumé in an email to the lab coordinator, Joseph Mroz (jmroz@unomaha.edu). The Community Engagement Research Center (CERC) is a research lab devoted to the study of community outreach and engagement, including volunteerism, service learning, collective impact, emotion management, and community involvement. The purpose of the research is to investigate organizations and employees' roles in solving social issues. Through experiments and surveys, we hope to impact communities by identifying root causes of problems and developing practical solutions to stimulate change. Students in this lab will be focused on developing research ideas, conducting studies, data collection, data analysis, writing papers for publication, and submitting research to local, regional, and national conferences. Students involved in this lab must have a drive to produce quality outcomes, have the ability to collaborate and communicate effectively in a team setting, and be passionate about learning and developing as a student. *Harp, E., Allen, J. A., & Scherer, L. (2017). Volunteer Engagement and Retention. Nonprofit and Voluntary Sector Quarterly, 46(2), 442-458. Mackay, M., Allen, J. A., & Landis, R. (2017). Investigating the incremental validity of employee engagement in the prediction of employee effectiveness: A meta-analytic path analysis. Human Resource Management Review, 27(1), 108-120. *Maglio, M. A., Scott, C., Davis, A., Allen, J., & Taylor, J. A. (2016). Situational pressures that influence firefighters’ decision making about personal protective equipment: A qualitative analysis. American Journal of Health Behavior, 40(5), 555-567. Scherer, L. L., *Graeve-Cunningham, V. M., *Trent, S. B., *Weddington, S. A., *Thurley, A. R., Allen, J. A., & *Prange, K. (2016). 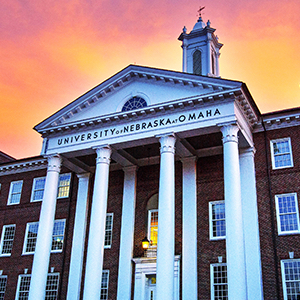 Volunteer program assessment at the University of Nebraska at Omaha: A metropolitan university’s collaboration with rural and Spanish-speaking volunteers. Metropolitan Universities Journal, 27(1), 121-136. Prange, K., Allen, J. A., & Reiter-Palmon, R. (2016). Collective impact versus collaboration: Sides of the same coin OR different phenomenon? Metropolitan Universities Journal, 27(1), 86-96. If you would like to become a member of CERC, please follow the applicaiton directions below. 2. Send your résumé and a writing sample in an email to the lab coordinator, Kelly Prange (kprange@unomaha.edu). The Volunteer Program Assessment (VPA) was founded initially through a partnership between the University of North Carolina at Charlotte (UNCC) and The Humane Society of the United States, under the guidance of Dr. Steven Rogelberg. Fortunately, Dr. Joseph Allen, a founding member, brought VPA to the Omaha Area, including the University of Nebraska (UNO). The mission of VPA-UNO is to provide quantitative and qualitative data and feedback to non-profit organizations from the perspective of their volunteers with the goal of improving volunteer and organizational outcomes. VPA-UNO consists of faculty and students who help community agencies, at the local, regional, national, and international level, to ultimately improve volunteer experiences at all of the organizations we serve. Not only is VPA beneficial for the non-profit organizations we serve, but it also provides students with the opportunity to gain consulting experience. CAPS provides high quality research-based, legally defensible, and scientifically sound consulting services to local, public, and private organizations needing help in a variety of areas related to Industrial/Organizational Psychology, Social Psychology, School Psychology, and Developmental Psychology. CAPS responds to requests for job analyses, personnel selection (development and validation of tests and other procedures), promotional exams, needs analysis and training, employee surveys, development of performance appraisal systems, and a variety of other specialized projects related to the capabilities and interests of our Industrial/Organizational Psychology faculty. Developmental, School and Social Psychology faculty also provide consulting activity for their students under the CAPS umbrella. View the CAPS page for more information.